Believe it or not, “getting things done” doesn’t have to cost an arm and a leg. A plethora of free virtual tools can help you im--prove your productivity without breaking the bank. Evernote lets you get things done without denting your wallet. When you have to juggle multiple projects and need one place to keep things organized, Evernote lets you easily manage a wealth of notes, images, to-do lists, and even audio recordings. Everything is searchable and sharable, and everything stays synced across the wide array of Evernote apps and programs. Evernote also offers a suite of complimentary apps like Penultimate, which lets you jot down notes and drawings on your iPad, and Hello, which enables you to keep track of your contacts and meetings. Google Drive gives you 5GB of free cloud storage, the same syncing functionality as Dropbox, and apps for Android, Chrome OS, iOS, Mac OS X, and Windows. One key advantage of the service is that it plays nicely with other Google services to keep you productive. For example, Drive lets you share individual files or folders with anyone via Gmail, as well as allowing you to bypass the usual 35MB limit on email attachments. You get all the functionality of Google Docs, too—including collaborative online documents, spreadsheets, and presentations—so you can easily open and edit any document stored on your cloud drive, even if you don’t have an office suite installed on your PC. Not everyone can live in the cloud, though. LibreOffice is the best free alternative to Microsoft Office, featuring components with full-featured support for word processing, spreadsheets, slideshows, databases, mathematical equations, and reasonably complex 3D renderings and diagrams. The latest version lets you skin the suite to your tastes, although the interface is far from impressive. LibreOffice excels when you need to work on your documents on a computer that doesn't have Microsoft Office installed on it, or when online alternatives like Google Drive docs either aren’t powerful enough or aren’t available. 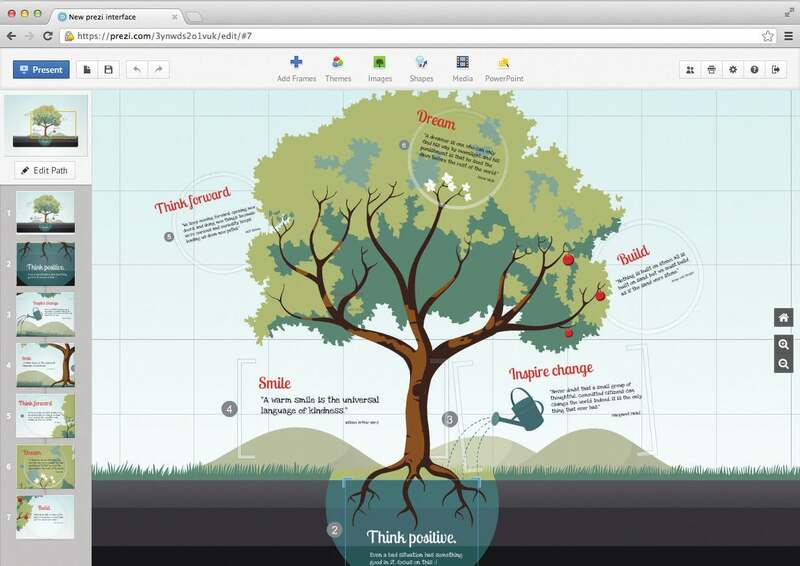 Prezi is a whiteboard and slideshow for making cool presentations. Prezi basically mixes a slideshow with a virtual whiteboard, and then spices things up with eye-catching aesthetics. The result is a zoomable, interactive presentation that’s far more engaging than the usual ho-hum PowerPoint. 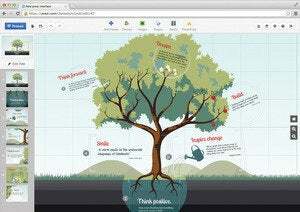 Prezi’s Transformation tool lets you edit anything that you add to the canvas, from images to shapes to text. Keeping track of tasks across your devices is easy with Wunderlist. Mobile-focused to-do apps are a dime a dozen, but Wunderlist shines with its simple, beautiful interface and support for a browser app, Android, iOS, Mac OS X, and Windows. Recent updates have made the free service more powerful and useful for teams, so you can add recurring tasks and subtasks, or collaborate with others on your projects. Speaking of collaboration, when you need to be in touch with your team in real time, turn to HipChat. It’s a great tool that combines group chat and one-on-one instant messaging sessions, complete with the ability to share images, PDFs, Office docs, and other files for instant feedback. Team members can log in using mobile, desktop, or Web apps alike; and even better, it’s free for teams of up to five people. Cobook is a gorgeous iPhone app that keeps your personal, Facebook, LinkedIn, and Twitter contacts organized in one place, creating unified contact details. Crucially, the app segregates a person’s info by network; for example, Twitter updates won’t flood your friend’s main contact card—instead, you have to tap the Twitter icon on the contact card to view tweets. Co--Book also adds a new spin on groups by using tags to organize your contacts, and you can create multiple tags for a person. Cardmunch is another great iOS app to add to your contact-management arsenal. The app lets you snap photos of business cards, and then seamlessly converts the information into a contact sheet that you can save to your phone, complete with info pulled from the person’s LinkedIn account. It’s highly accurate and extremely useful, and Cardmunch even offers to connect you with your contacts on LinkedIn. Email remains the universal method for business communication, but keeping on top of your inbox isn’t always an easy task. Mailbird is a new, free (for now) email client that sports a simple, intuitive interface designed to help you zip through your clogged inbox. Mailbird is in beta and currently supports only Gmail users on Windows PCs; but if that sounds like you, Mailbird offers a fast, no-frills email experience. If that doesn’t sound like you or if you’re feeling adventurous, check out AOL’s Alto Mail, which intelligently organizes your incoming mail into grouped “stacks,” similar to actually sorting physical mail on a table. Alto Mail arranges the stacks according to customizable filter preferences. This striking-looking Web service works with AOL Mail, Gmail, iCloud, and Yahoo Mail. Unfortunately, while Alto is free, it’s in invitation-only beta. But you can request an invitation from the Alto website. better suited for adding Instagram-like effects. Feedly can import your Google Reader feed. With Google axing Reader this summer, it’s time to look at alternatives to re--place the legendary RSS service. The best of the bunch is Feedly, which can handily import your Reader feed and even goes a step beyond Reader thanks to its Facebook and Twitter integration. Feedly also boasts mobile apps for iOS and Android—and mobile is an area where Reader faltered. For your viewing pleasure, Feedly displays articles in either a traditional text interface or a magazine-style display chock-full of imagery. Next up: The six best free tools for the connected commuter.